Nashville Luxury Travel owner, Jennifer Martin, spent last week exploring Great Exuma and scouting out some great locations for NLT clients. One of the resorts in particular, Grand Isle, is one that we absolutely must share with our readers! Grand Isle in the Bahamas is breathtaking and truly holds beauty that makes time stand still. Plus, paying Exuma a visit is an adventure in itself. Grand Isle Resort & Spa sits on a mile-long stretch of ivory beach and sparkling clear waters of Emerald Bay on the island of Great Exuma. From unrivaled sport fishing, fly fishing, diving and snorkeling from the Grand Isle Resort beach to exquisite cuisine and sublime spa services, this relaxing resort exudes authentic Bahamian style. This sun-kissed tropical Bahamas resort has a family friendly, low-key attitude that immediately puts guests at ease. Not to mention, Grand Isle is a recipient of the coveted AAA Four Diamond Award - and rightfully so! From the architecture and interior design to a host of modern conveniences and thoughtful touches, all of the one to four bedroom villas at Grand Isle Resort & Spa offer luxury, quality and extraordinary value in Great Exuma. 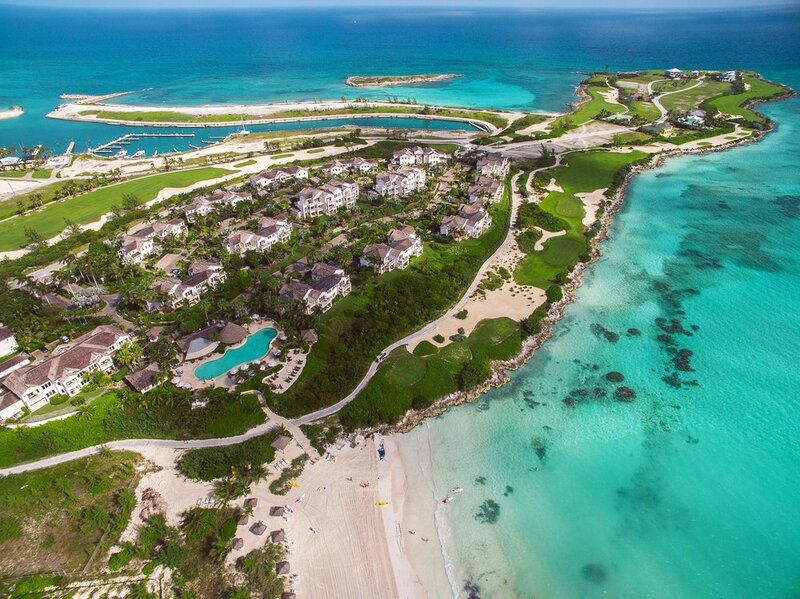 The resort's spacious oceanfront and resort view villas feature luxury amenities including custom furnishings, private balconies or patios with sweeping views of turquoise waters, a pristine golf course and gardens that make Great Exuma a nature-lover's tropical paradise. Individually decorated, the villa interiors are well-appointed with gourmet kitchens and wireless Internet. If you’re looking to visit the island of Great Exuma anytime soon, there is no need to look any further for the perfect place to stay. Visit Grand Isle, and experience the beauty that makes time stand still.